Road Runner Mobile Tyres make repairing and replacing your tyres as easy and hassle-free as possible. We come straight to you, so you don't have to waste time researching different tyres and trying to work out how to repair or replace them. 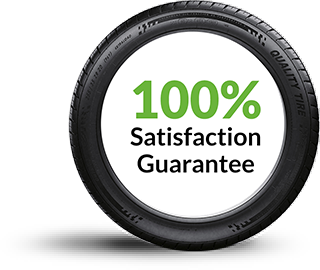 Our experts are able to fix and fit tyres for any make and model, including Mazdas. Whether you want to replace yours completely, repair a puncture or are just looking for some advice about the type of tyres your Mazda needs, give us a call today. Here are a few of the most popular Mazda models and the tyres they generally require. Mazda's answer to the typical runaround, the Mazda2 adds an element of fun to city driving. Featuring all the usual mod cons, and perhaps a few others you wouldn't normally find with rival cars in this class such as online connectivity, this sleek little car is extremely fuel efficient and doesn't compromise on style. A standard Mazda2 takes between 185/65R15 and 215/35R17 size tyres. The next level up, the Mazda3 boasts either a 2.0 or 2.5 litre engine. This attractive car not only looks fantastic, its sports-like performance makes it a joy to drive. Depending on engine size and wheel type, the Mazda3 can be fitted with tyres ranging from size 205/60R16 to 225/40R18. With sports performance, maximum comfort and unique energy saving additions, the Mazda6 is stunning in its design. Mazda's unique iELOOP system uses energy gained from braking to power its electrical systems, setting this model apart from typical cars in its class. A 2.2 litre Mazda6 can be fitted with tyres ranging from 225/45R19 to 225/55R17 in size, while a 2.5 litre will take between 225/55R17 and 225/45R19. Mazda are proud to have produced the first CX-3, a small SUV designed for city living. This is a stylish car that's always enjoyable to drive, whether you're taking the family away for a weekend break or simply sampling the city's sights. Depending on whether it has a 1.5 or 2.0 litre engine, the CX-3's tyres range between 215/60R16 and 215/50R18 in size. You almost forget you're driving an SUV with the CX-5 because it's so easy to handle. Extra safety features, such as the ability to sense potential hazards with the i-ACTIVSENSE technology, give the driver extra reassurance, whether travelling across the country alone or with the whole family in tow. You will need between 225/65R17 and 225/60R18 size tyres for a 2.0 litre, 225/65R17 and 225/60R18 for a 2.2 litre, or 225/65R17 and 225/60R18 for a 2.5 litre. Mazda's CX-9 is graceful to handle, despite its size and ability to seat up to seven people. It has everything you could want in an SUV, including ultimate comfort, independent suspension and several safety features. The CX-9's six gears and 3.7 litre V6 engine mean you can really have some fun on the open road. 245/60R18 or 245/50R20 size tyres are available for the CX-9. This old favourite underwent a revamp in 2015 and returned with a vengeance. Lighter and lower to the ground than previous incarnations, the MX-5 roadster is now more fuel efficient, with every inch of the car designed with the pleasure of the driver in mind. Depending on whether yours is a 1.5 or 2.0 litre, this Mazda can either be fitted with 195/50R16 or 205/45R17 size tyres. Whether you need it for work or hauling a whole load of holiday gear for a week away, the BT-50 won't let you down. This tough Mazda can take on any type of terrain without compromising on style. Ranging from a modest but capable 2.2 litre to a powerful 3.2 litre engine, the BT-50 is ready for anything. You will need tyres sized between 215/70R16 and 265/65R17 for a 2.2 litre, and either 255/70R16 or 265/65R17 for a 3.2 litre.